If you have a yard you're probably wondering what yard work needs to be done and what you should be planting in the fall. Luckily we've got a guide below for you to know everything you should be planting in the fall. Follow along below! Planting In The Fall: Why Plant During Autumn? PLanting during the cooler fall season has major benefits. One is that it is better for many plants as the heat isn't as harsh and the plants lie dormant - perfect for transferring and planting. Also, there is less insect and disease threat during the colder months. Fall is also a great season for yard work simply because it's more pleasant to be outside. As autumn arrives it’s time to think about spring. Although air temperatures are beginning to drop, soil temperatures remain warm - actually warmer than in the spring. This, along with traditionally higher rainfall in autumn, makes it a great time of year to plant. The moderate temperatures also mean that outdoor work is a rather pleasant task. Plus, planting now means there’s one less thing you’ll have to do next spring. Transplanting and planting are stressful to plants at any time of year. Fall’s cooler air temperatures mean transpiration is less (plants lose less water through their leaves). Trees and shrubs planted in the fall have the autumn months to develop their root system, giving them a head start in the spring. During the winter months they can acclimate, rest, and recover before the rush of spring growth. Of course, fall is the time for planting autumn standbys like pansies, mums, and frost-tolerant vegetables. Fall is also a good time to plant spring-blooming perennials. Fall is the onlytime to plant spring-blooming bulbs. Plant several varieties with different bloom times and you can enjoy bulbs all throughout the spring season. Crocus, snowdrops, tulips, daffodils, hyacinth, anemone, allium, iris, frittilaria - the list is as long as the succession of blooms in store for you next year. "Many fall-harvested crops should be planted in early August to give them enough time to mature. Always consult the seed packet to see how many days it takes until maturity, and count backward from your frost date to allow enough time. Lettuce, spinach, and other greens with a short maturity time can be planted later in the season. Extend the growing season by planting them under floating row covers or cold frames that will shield plants from frost but still allow light, air, and water to penetrate." Plan ahead - imagine your flower beds in the fall and think of all the beautiful daffodils and tulips and where you'd like them to be. You'll have to use your imagination but you'll reap the reward come spring! Cut your grass close for that last mow. This aides in fall yard clean up and also helps prevent disease in the grass over winter. Plant shrubs and trees. Planting trees and shrubs in the fall gives them a headstart on their root system before it gets too hot. 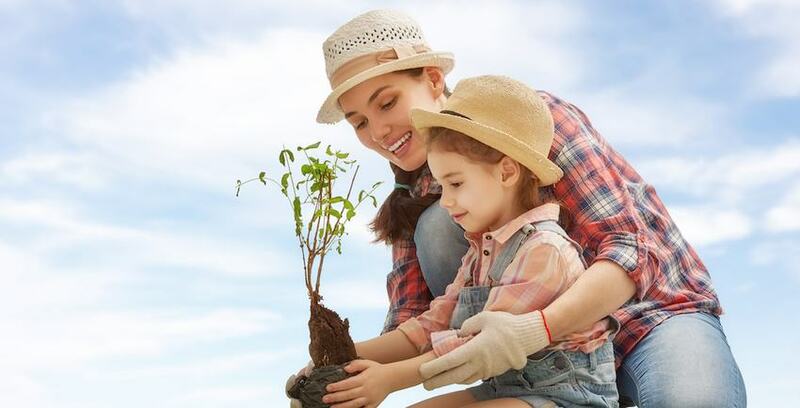 Fall is the perfect time to plant trees and shrubs. This guide should help you in your quest to know what you should be planting in the fall. Use its information to maximize your yard for the Autumn and the Spring!